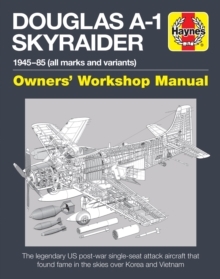 The Skyraider became legendary for its ability to soak up battle damage and still keep flying. It was eventually replaced in the US Navy by the swept-wing jet A-6 Intruder and A-7 Corsair. Radar-equipped Skyraiders were operated by the Royal Navy (1951-62) as airborne early warning aircraft, while the French Air Force bought ex-US Navy Skyraiders for use in the Algerian War in the 1960s, and in the 1970s during the civil war in Chad where they were flown by French mercenary pilots.